« A Personal History of Let’s Start Talking, Pt. 8: Let’s Talk Turkey! Did you know every fourth person you meet could be from China? Yes, every fourth person in the world is Chinese—and God loves every one of them so much that He sent Jesus to live and die for them! That’s why Let’s Start Talking goes to China. The first recorded attempt to introduce Christianity in China was in the 7th century, with other mission efforts following in the Middle Ages. Some believe that these efforts failed to take root because they went first to the leading and royal families and never won the hearts of the common people. Whether this is true or not, the current spread of Christianity in China is certainly a grassroots event. This is why LST has been so effective in China. 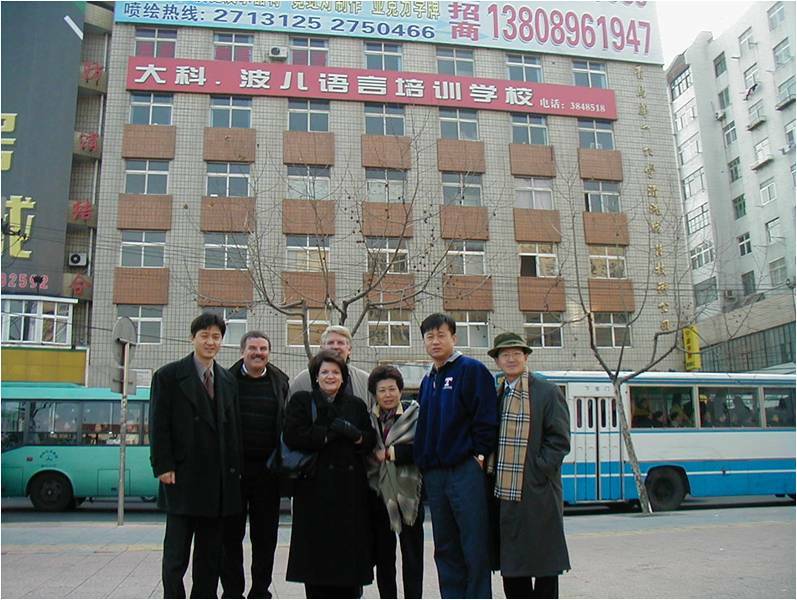 In 2002, we were approached by a Korean American minister whose Korean parents and brother’s families had decided to adopt the city of Qing Dao as their mission site. The elderly parents and the brother’s family had already moved there. Together they had spent two years getting permission to open a private language school, which they called Dr. Paul’s – after the Apostle Paul. They had been offering Korean, but they wanted to offer English as well, so they approached us about bringing teams over. They could not—or did not want to use the Bible in their public classes, which might have attracted the attention of the officials, so we decided to offer the one-on-one conversation classes with visiting Americans as a voluntary supplemental opportunity. We hoped to accomplish several things, including making their school more attractive while at the same time planting the seeds of faith into the hearts of those we read with. Sherrylee and I, along with Steve McLean, made what is called a site visit in LST jargon in February 2003. Steve and his wife Val had become some of our best friends and best LST leaders. When we had tough spots and needed the very best, we would send Steve and Val! On that trip, all we saw was opportunity. I had expected to find something similar to Russia after the fall of Communism—rather drab and dismal and with everyone highly suspicious of each other. Instead we found bustling, wealthy cities—and the Chinese people we met were friendly, outgoing, and unafraid. They did not act like nor did they feel like an “oppressed” people—something which made them much more open, I believe. We went to the famous Chinese circus one night in Beijing. Foreigners must buy VIP tickets, so we paid something like $15 dollars for them, but what surprised me was that there were only about ten foreigners in the large center section of the large auditorium and probably 3-400 Chinese people over on the side in the non-foreigner section, making us feel pretty strange. Sherrylee decided to help break down the Great Wall, so at intermission, she walked over to the aisle that ran up the Chinese side of the auditorium where some children were sitting. She commented to the parents how cute the children were—but they spoke no English, so–typical Sherrylee—she opens her purse and pulls out our grandkids pictures to show the children. Of course all 300 of the Chinese had been watching her the entire time, but when she pulled out the pictures, it was just too much, so it seemed like all of them jumped out of their seats and came down to where she was so they could see the pictures and meet this friendly, foreign lady! They were smiling and laughing and just loving that they had this unexpected opportunity to interact with us! Over the next three years, LST was approached about working in several other Chinese cities: Guangzhou, Beijing, Shanghai, Xian, and most recently, Xiamen—a beautiful city most Americans have not heard of. 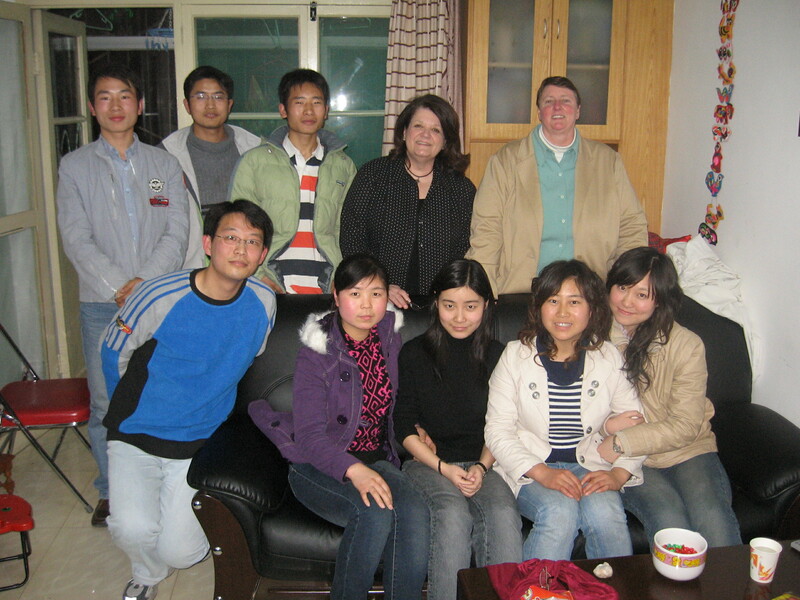 Since 2007, LST has sent several hundred people to serve in China. Since there are no “hosting churches” in China, we tend to work with either Americans living there or with established house churches—or family churches as they prefer to say. We have rented apartments in most of the cities, since our only other choice would be to stay in hotels, which is a much more expensive option. But having the apartments also lets LST send teams year round to these sites, which provides much more continuity—a kind of follow-up built into our work there. Usually our teams make contact with Chinese people at what are called English corners, which are just gathering places and times for Chinese people who want to meet foreigners who speak English. In this very public setting, they ask questions about everything from geography to politics—and often about Christianity. This opens a door quite naturally so that you can invite them to contact you and answer their questions while helping them with their English. After that, it works like every other LST project in the world. 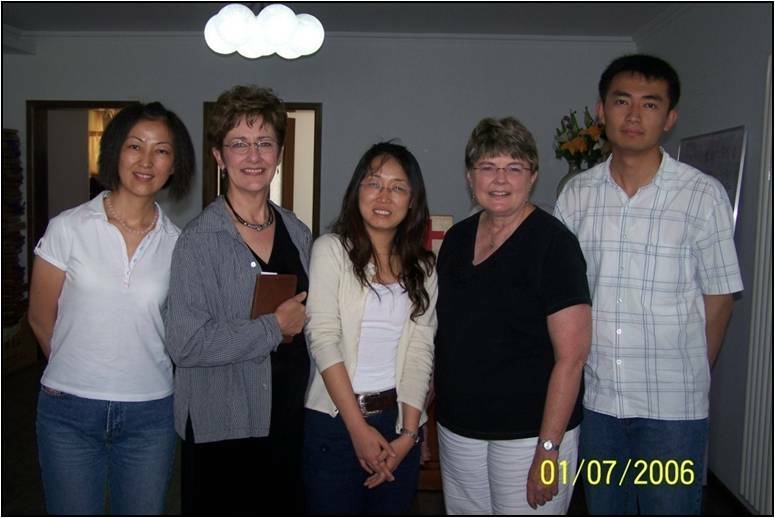 In several of the cities, LST now works with American Christians who are working there full-time—several of whom first went to China on LST! I’m being a bit cautious with names because some places in China have more government intrusion than others. Most places we work are working quite publicly. In fact, one of the great American families living there now told us to quit giving the LST workers we sent so many precautionary instructions about security in China—because the Americans were making the Chinese Christians afraid and hindering their witness. I think they were right! To go into all the world does mean to go to China. But the Chinese Christians are going into all the world also—so it may only be a season that we Americans even have a role in China. We are blessed and improved by having the opportunity to serve there. I heard a missionary who has been in China for 20 years say, “If churches in America don’t realize that this is the best time in the history of China to send short term missionaries then they are just not “seeing the times”. He said the Chinese people are the most open now than he has ever seen. Our experience with LST in Beijing has proven that to be true. They can’t seem to get enough of the Bible. Thanks for all the people LST sends to China.